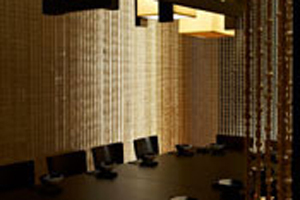 The Rockpool Group has launched its latest venue, Spice Temple Melbourne at Crown, a modern Chinese restaurant. Located over two levels and seating around 200 in total, the two dining rooms and two semi-private dining rooms – which seat 12 people each – have subtle influences of the exotic street hawker food markets in China. Spice Temple’s unique dishes are driven by Rockpool Group Neil Perry’s long-fostered passion for Asian cuisine and are designed for the shared table. The wine list has a selection of 100 Australian and imported wines.